Grab your clubs and get ready to golf for a good cause! Support the Meridian Technology Center Foundation. Registration is $85 per player or $325 for a 4-person team. Hole sponsorships are also available. Registration deadline is May 2. 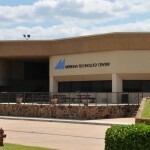 Contact Tammy Thomas at (405) 377-3333, ext. 227 for details. 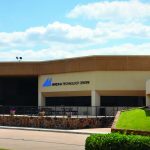 The Meridian Technology Center Foundation assists in the advancement of educational and training opportunities for students attending the school. Last year the foundation awarded nearly $30,000 in scholarships to students.